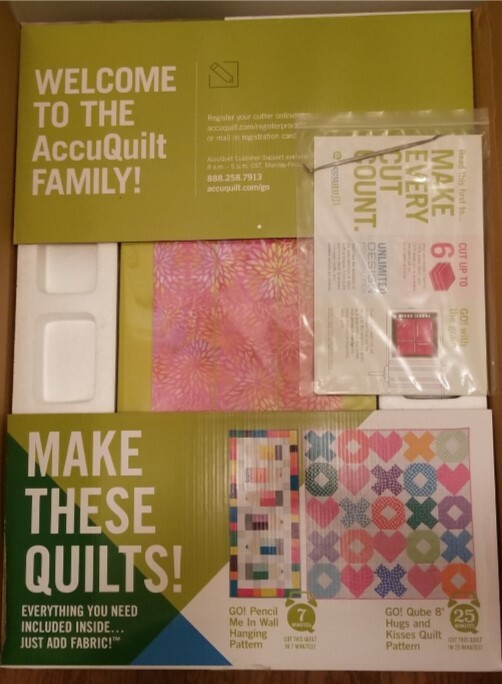 Kentucky Whittaker Creations: AccuQuilt - Unboxed! Hi - It's Mona again! I hope you are well. I like to make quilts, I've also realized that I do not enjoy cutting fabric. My preference thus far is using precuts (layer cakes, jelly rolls, etc.). For some reason, every time I cut fabric, I get nervous. I don't mind to square up blocks or to fussy cut an item. I even like doing applique; however, the thought of cutting out a bazillion pieces of fabric intimidates me. Also - I feel like I'm going to get it wrong. And, it's boring! I want to get to the good stuff. 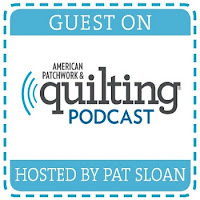 I've done a lot of research since diving into the quilty world. 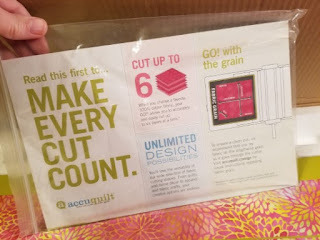 I came across AccuQuilt - a company that produces fabric cutting systems. 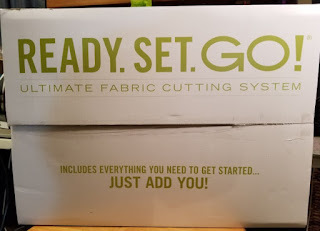 These systems will cut fabric into all of pieces that I don't want to cut! 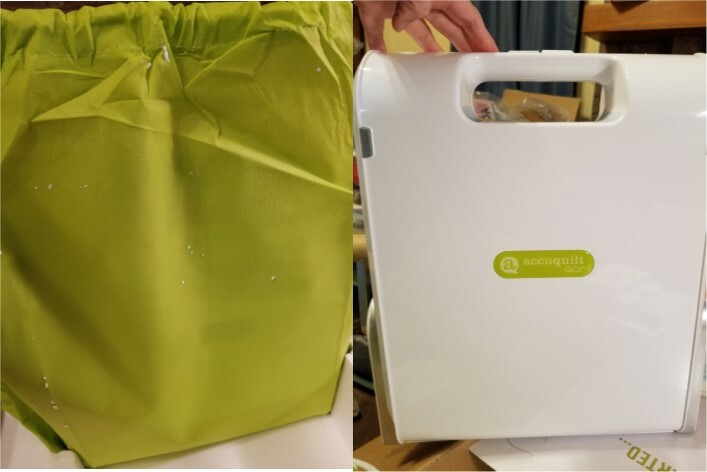 I've watched videos and seen other reviews and was just wowed at the possibilities - the ability to cut multiple layers at once, the accuracy, the many size options available! I have partnered with AccuQuilt and they sent me the Ready Set GO! 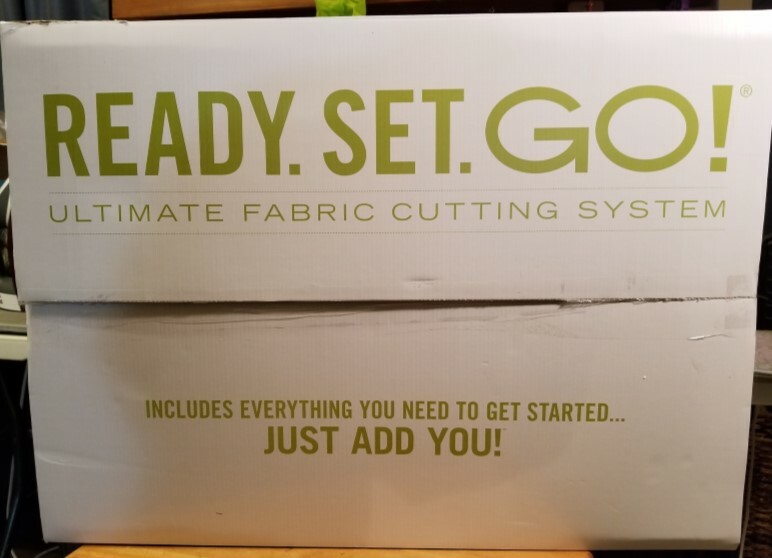 Ultimate Fabric Cutting System. Oh. My. Goodness.! This set is perfect for a beginner and includes a ton of products! My excitement level was through the roof when I received that box and opened it up. I tried to wait until I had better lighting to take pictures, but I was too excited. Please, bear with me and forgive me for the not-so-great pictures! Next was the strip cutter which cuts fabric into 2 1/2" strips - I'll be able to make my own jelly roll strips! 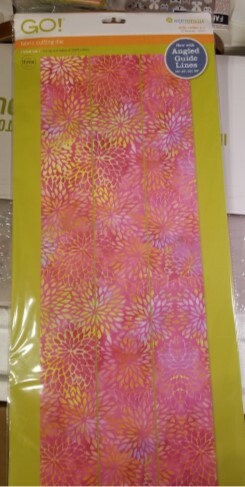 The cutting mat for the strip cutter was included. 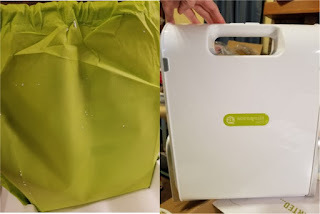 In this lovely green bag is the GO! Fabric Cutter itself. And, this GO! 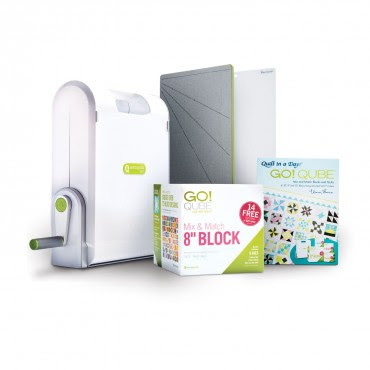 Qube 8" Mix & Match Block set. Finally - this GO! 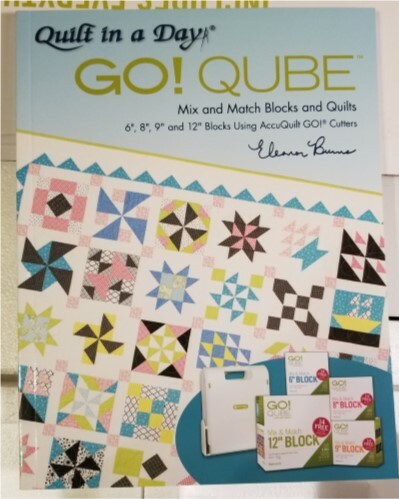 Qube Book by Eleanor Burns. WOW! That's a LOT of stuff!! I am so excited about this. The possibilities are endless. My brain has been working overtime trying to figure out all of the things I get to cut and make!! Over the next couple of weeks, I will be getting everything out and playing with all of my new tools. I will be writing about the AccuQuilt products here on my blog and on the AccuQuilt site. If you're still reading - thank you for staying with me this far! What about you? Do you like to cut fabric? Is this something you think you'd like to use? I look forward to hearing from you and I hope that you'll continue on this journey with me. Make sure you follow me on Instagram and on Facebook.